WIN: WNY Incubator Network is a collaborative effort of business incubators to expand entrepreneurial services, help startups, and grow wealth in our region. We work together to help incubator ventures grow quickly, achieve greater profitability, and become more attractive to investors. Managed by University at Buffalo Business & Entrepreneur Partnerships, WIN connects startups to UB’s vast resources, including student talent, faculty expertise, entrepreneurial support programs, and world class facilities. WIN is funded through the NYSTAR Innovation Hot Spot program and chartered by the WNY Regional Economic Development Council [WNY REDC]. 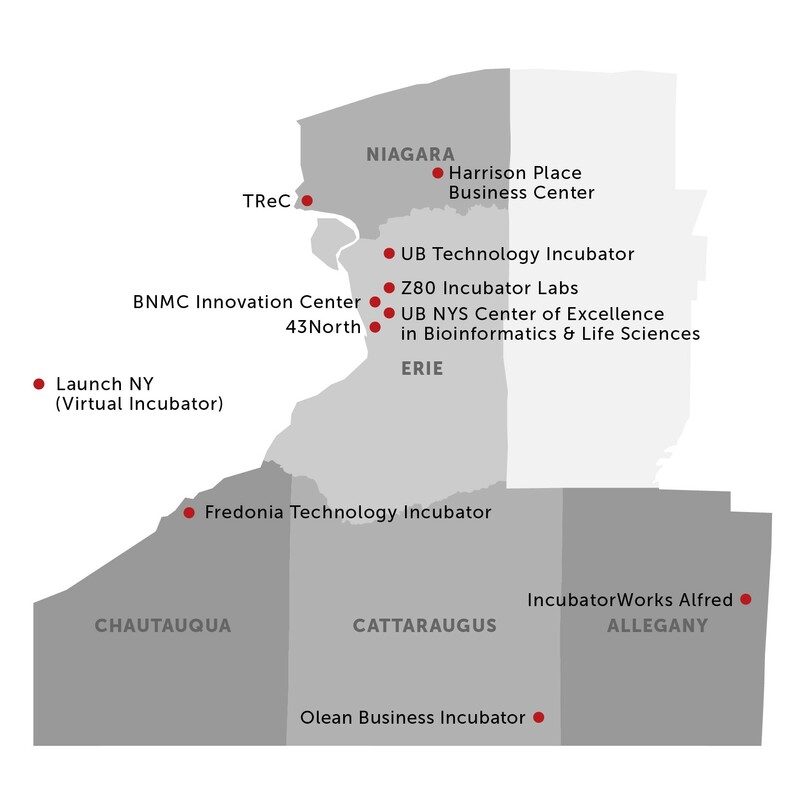 Our incubators serve the western region of New York State, including Allegany, Cattaraugus, Chautauqua, Erie, and Niagara Counties.